This is how we do it! Every solution we create, was first someone else’s problem. So we decided to let you in on how our creative process works. 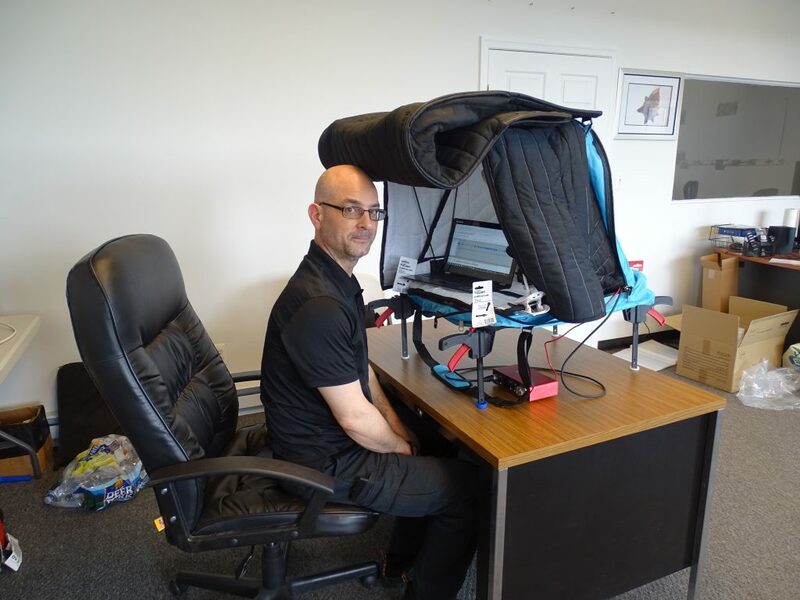 VOMO earned great reputation as a portable vocal booth that delivers consistent results in any environment. Compare to the original Carry- on Vocal Booth ( COVB ), VOMO includes a Sound Isolation Hood (SIH), that surrounds the user from all sides, creating that coveted studio quality acoustics. But we had mostly concentrated on using VOMO in a Microphone mounted configuration. The microphone stand can be easily adjusted to a suitable height, but using VOMO as a desktop, presented a problem for tall people. Especially after adding the SIH, when VOMO was set on a table top it would pull the booth forward and using the booth was a bit awkward. And this is what happened….. If you are facing any problem with your acoustic environment – let us know, this is how we design all our products. Do you have a problem with that? We just may have a solution! Creators of Producers Choice Acoustic Blankets, VOMO portable vocal booth, and many more acoustic treatments to optimize sound absorption. Studios, Vocal professionals, Voiceover artists, Audio Engineers, Podcasters and Home studios use our products everyday to control their sound environment.